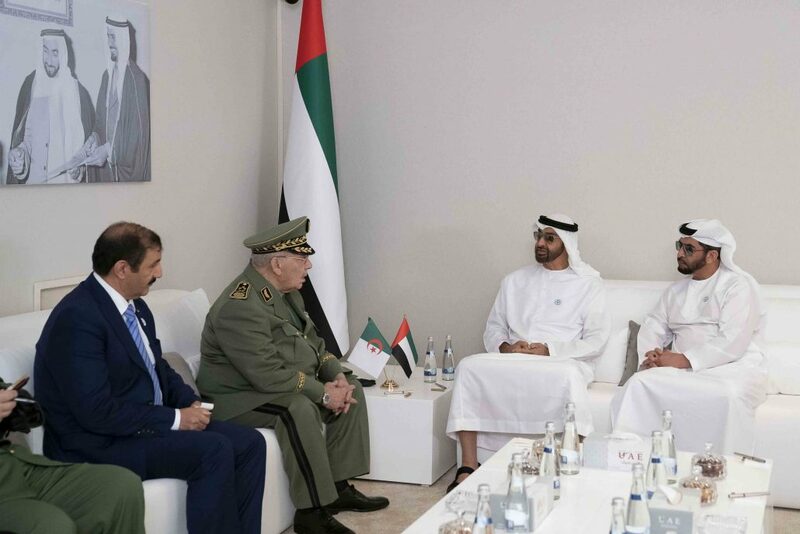 (Abu Dhabi) – His Highness Sheikh Mohamed bin Zayed Al Nahyan, Crown Prince of Abu Dhabi and Deputy Supreme Commander of the UAE Armed Forces, received the visiting Algerian Deputy Defence Minister and Chief of Staff, Ahmed Kayed Saleh. His Highness Sheikh Mohamed bin Zayed welcomed the Algerian official and discussed with him ways to enhance bilateral relations in the best interest of the two countries. H.H. 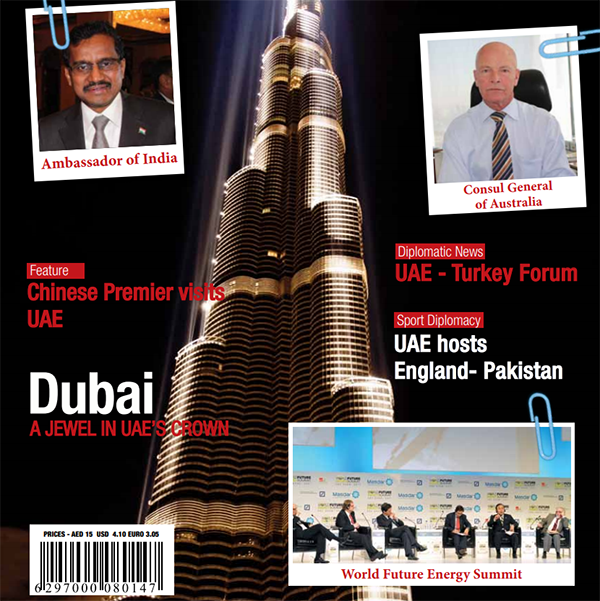 Sheikh Hamdan bin Zayed Al Nahyan, Ruler’s Representative in Al Dhafra Region; H.H. Sheikh Tahnoun bin Zayed Al Nahyan, National Security Adviser, and H.H. Sheikh Mansour bin Zayed Al Nahyan, Deputy Prime Minister and Minister of Presidential Affairs, attended the meeting. They reviewed the coordination and cooperation in the defence and military sectors, the latest regional developments and issues of mutual interest. Saleh conveyed the greetings of President of Algeria, Abdelaziz Bouteflika, to President His Highness Sheikh Khalifa bin Zayed Al Nahyan, and His Highness Sheikh Mohamed, on the occasion of the UAE’s 47th National Day and further progress and welfare for the UAE. H.H. Sheikh Mohamed asked Algerian Deputy Defence Minister to convey his regards to the President of Algeria and his best wishes for more welfare, development and progress for the people of Algeria. He also extended thanks and appreciation to Algeria’s leadership and people for the warm regards towards the UAE during the celebration of the country’s National Day. A number of officials were also present.